The announcements have been posted for days, with no parking signs along a stretch of Fifth Ave from 79th to 77th. 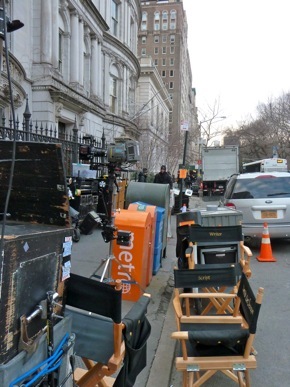 And while there was a tiny bit of activity yesterday, this morning the TV film crew was setting up in earnest to shoot an episode of Law and Order: Special Victims Unit. It looks like they’re going to use exteriors – and maybe interiors – of the Fletcher-Sinclair House, which is being restored and sits on the corner of 79th and Fifth. 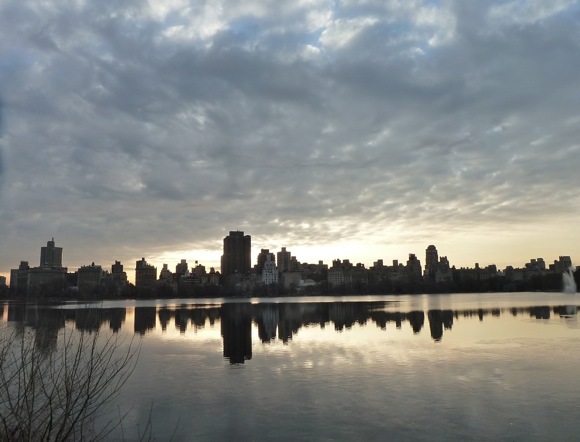 This entry was posted in Dawn jogging, On the road and tagged Central Park reservoir. Bookmark the permalink.